You’ve no doubt seen people out snowboarding, but have you ever seen anybody sandboarding? As unlikely as it seems yes people do snowboard in the sand. Imagine trekking out to the top of a sand dune in the middle of the desert, strapping on a snowboard, and flying down the dune gaining speed all the while as sand kicks up behind you. Er, actually it doesn’t always work out like that lol. Sometimes it’s more like…go for a few feet and then friction from the hot sand slows you down to the point of falling over. 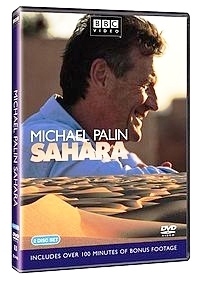 I first seen somebody sandboarding while watching Michael Palin’s Sahara travel show. He was traveling with a group of Wodaabe nomads across the desert and out of nowhere comes a person on a paraglider and another doing some attempts at sandboarding. Just shows that you never know what you’ll come across while traveling. Anyway the person who was sandboarding wasn’t having a good time of it from the looks of things, they would go for a bit and then lose speed due to the friction of the sand, try to wiggle to propel themselves forward and then end up falling over. It looked pretty damn miserable to me, especially after I thought about having to climb the sand dune in the searing heat. But maybe that person just really sucked at sandboarding? 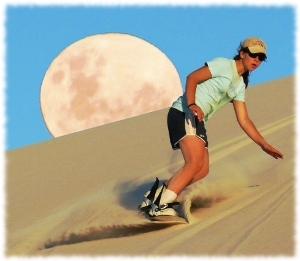 I looked up some videos of people sandboarding and the experience of losing speed and falling seemed fairly common, with sometimes the guide of the sandboarding expedition having to step in front of the board and pull on in to help the person on the board regain a bit of momentum. However, there was also videos of people doing quite well. Some people seemed to be able to counteract the friction (or at least had better boards for sandboarding) and were able to zoom down the sand dunes, even doing some tricks before getting to the bottom. There’s got to be something to sandboarding though because it seems to be picking up in popularity. You can sandboard all over the world, from the Sahara to Dubai to…Oregon? I was surprised that there’s even sandboarding here in Alaska at the Kobuk Sand Dunes. 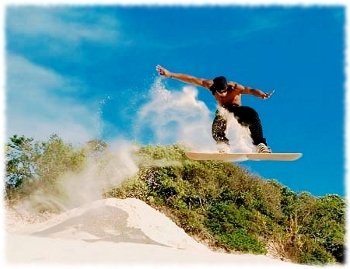 Snowboarding in winter and sandboarding in summer, what a life!